IKEA’s solar-powered SUNNAN LED desk lamp is stylish, eco-friendly, affordable decor that will appeal to the whole family. Available in five cheery colors, SUNNAN requires no electrical connections, features an adjustable arm, and provides up to four hours of continuous light when fully charged. Living up to its enlightened design, and in the same vein as the BoGo flashlight, for every SUNNAN sold in IKEA stores worldwide, another SUNNAN will be donated to UNICEF to give to children who are without electricity in refugee camps and villages in remote areas—making the purchase of every SUNNAN LED work lamp a smart, altruistic endeavor. Designed to give more children access to education, the SUNNAN Lamp Campaign will enable kids to do their homework even after the sun sets. And charging the SUNNAN couldn’t be easier: Simply remove the detachable solar panel and place it in the sun for eight to nine hours. The first donations from SUNNAN sales will go to UNICEF in Pakistan, where thousands became homeless after a major earthquake in October 2008. Ikea's new policy is to donate $1 to UNICEF for each purchase, according to the sign in the NY store- apparently no longer buy one, donate one. I we like toask how many hours thuse the lamp resit befor it goes down,and how long thuse the lamp take to recharge . An were is your company sutuated. i will be delighted to have the samples of it, if posible, an how much can you sell to us in wholesales price. we intend to promoted your product in our coutry CAMEROON , Dit u produce different product apart from Ikea reading lamp, then let us to know the best of your quality product. Thanks while waithin incorporation for a future business with your Company. 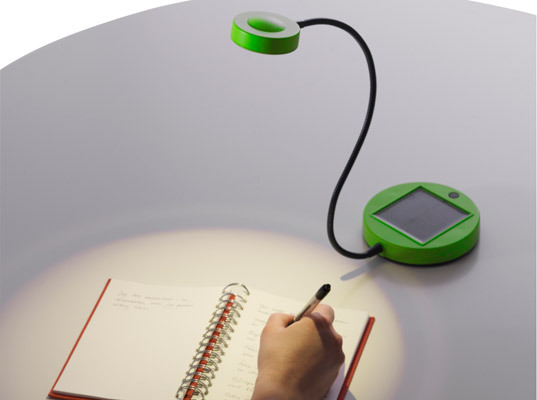 IKEA's solar-powered SUNNAN LED desk lamp is stylish, eco-friendly, affordable decor that will appeal to the whole family. 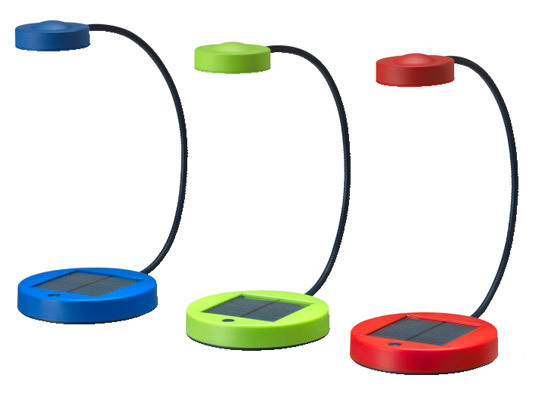 Available in five cheery colors, SUNNAN requires no electrical connections, features an adjustable arm, and provides up to four hours of continuous light when fully charged. Living up to its enlightened design, and in the same vein as the BoGo flashlight, for every SUNNAN sold in IKEA stores worldwide, another SUNNAN will be donated to UNICEF to give to children who are without electricity in refugee camps and villages in remote areas---making the purchase of every SUNNAN LED work lamp a smart, altruistic endeavor.